This intriguing title comes from Dorine White, a fellow MMGM poster and author of numerous books. 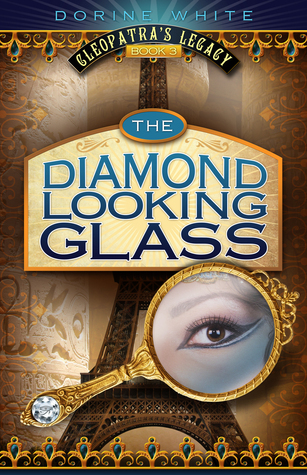 THE DIAMOND LOOKING GLASS is the third in the Cleopatra’s Legacy series, stories that follow magic gemstones once belonging to Cleopatra, the Last Pharaoh of Egypt. I worried that jumping into this one without reading the first two might be a problem, but it wasn’t as this story stands on its own. There’s an enticing Paris, France setting along with some fun time travel back to Cleopatra’s darkest days. Our heroine is Claire, a spunky twelve-year-old who seeks meaning to her family’s business and a mysterious mirror she has been bestowed as the owner. The chapters breeze by with plenty of action and the end sets up many more episodes. Seems that Cleopatra wants back all five gemstones, and Claire will have her hands full trying to find them. A great concept and yes, do judge a book by its cover… it makes you want to start reading at once. FULL PLOT : (from AMAZON) Beauty and the Beast. The world knows it as a cartoon with dancing teacups and broomsticks. To twelve year old Claire La Fleur, it is family history, and the power behind Belle’s mirror is real. Every ten years her family gathers to see if the mirror will awaken, and for the last two hundred years it has slept. Welcome to Paris, France – where danger follows in every step. I’ve never been to Paris so the setting vividly came to life with its many attractions and customs. I’d love to visit and enjoy some of their two hour lunch breaks! I suspected one of the characters had a not so good agenda, but I wasn’t sure. It took until the end to reveal if I was right. The sign of a good story teller – keeping you guessing. The visits surrounding Cleopatra’s life as a pharaoh were a welcome addition. Such a great contrast to the every day life in France. Claire takes a few too many dangerous chances, but you come to adore this kids who does things on her own to save those she loves. The secondary characters like Claire’s parents, older brother, best friend, and nemesis all have a purpose in the story and are not just filler. The relationship Claire has with her brother is quite touching. FAVORITE LINE: Everywhere she turned, she ran into someone. It felt like a carnival. The cacophony of noises and the heady smell of perfumes stuffed up her head like a cotton ball explosion. She’d tried. She really had. But now she had to get outside, even if for just a little while. AUTHOR QUOTE: My name is Dorine White. I graduated from Brigham Young University with a BA in Humanities. I am a member of the SCBWI and the PNWA. I write middle grade and YA fantasy. My first book, The Emerald Ring, was published in May 2013 by Cedar Fort Books. The second book, The Ruby Pendant, came out April 2014. My most recent release is a YA fantasy, The Awakening. This thrilling adventure came out in Dec. 2014 from Skyrocket Press. A newer hat of mine is working as an associate editor for Middle Shelf Magazine. For more insights see Dorine’s web site. 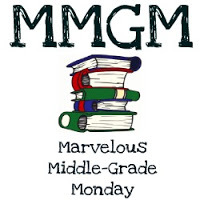 This entry was posted in Reviews and tagged Dorine White, female protagonists, Marvelous Middle Grade Monday, MG book reviews, Middle grade, The Cleopatra Series, The Diamond Looking Glass. Bookmark the permalink. Glad you could jump into this without reading the first two books. It sounds like a good read. Congrats to Dorine! However, it sounds like a delightful read! I love books that let me feel like I’ve traveled, and like I’ve seen a bit of the world. Thanks for the recommend, and have a great Thanksgiving! I’m not much of a fantasy reader, but I have to admit, this sounds pretty interesting. I do like time travel and historical settings, so I will put this one on my TBR list. Thanks for the review. Nice to know that the book stands on its own. Some fantasy series must be read in order. Time travel is always intriguing. Happy Thanksgiving! Yes, Happy Thanksgiving! This looks like a fascinating read. Thanks for letting me know about it. This sounds like an interesting MG fantasy. Yes, it is interesting that it is a stand alone book. Great review. I just saw this on another site and decided I had to have it. Thrilled you shared it here, too, as well as your thoughts, of course!